An election worker in the swing state of North Carolina was charged with doctoring registration records in a manner that would allow felons to vote. Now, she may become a felon herself. Joy Yvette Wilkerson, a temporary election worker in Granville, NC, was caught by the Board of Elections altering the voting status of 250 convicted felons in her county. A North Carolina election worker has been charged with illegally altering voter records so hundreds of felons could vote, The News and Observer reports. Wilkerson worked in late 2015 and 2016 in preparing her county for the 2016 presidential elections, according to WNCN. 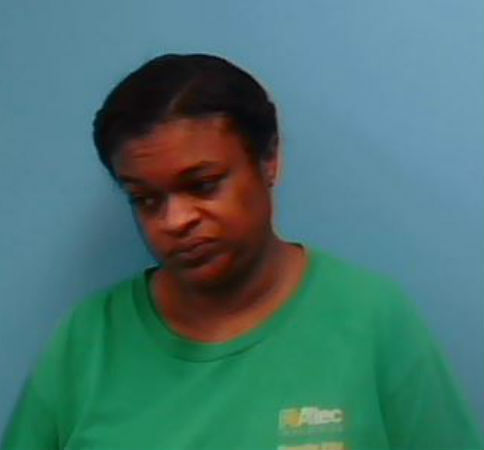 She was arrested last week and charged with two counts of felony fraudulent unlawful voter registration and one misdemeanor of unlawful altering of voter registration. Why is this receiving such little media coverage you may ask? The most likely scenario is that, despite Democrats insistence that voter fraud is not a real thing, the rest of us have heard this story so many times it has practically become commonplace. Ohio Secretary of State Jon Husted, also a swing state, recently released findings of his own that show a shocking number of illegal votes were cast in the 2016 election. According to the infographic Husted provided, 21% of those who were able to vote illegally because they were registered, did so. This highlights the concern in having non-citizens registered. They aren’t just erroneous names on a list somewhere. They’re actively voting illegally. Same would be true for the felons registered in North Carolina. Authorities there said any changes made by Wilkerson had been corrected prior to the election, thankfully. That won’t stop people from continually trying to get felons, illegals, or even dead people registered to vote. If there was no voter fraud, how would Democrats ever be able to compete in the elections? Spread this story of voter fraud by sharing this post!